Is ouster of Murray from Roland Garros a blessing in disguise? In a shock upset, David Ferrer of Spain ousted British Andy Murray out of the Roland Garros in their quarter final match Wednesday 6-4, 6-7 (3/7), 6-3, 6-2 to play against fellow Spaniard Nadal in the semi final on 8 June. Should Murray be disheartened over his ouster? Well for many in British, he should be, but for some it is a blessing in disguise for Murray not to face the clay master Nadal in the semi final. 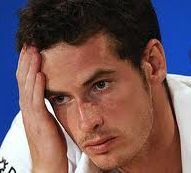 James Kent at Yahoo Sports contends that Andy Murray knew how hard the task would have been. But let's not forget that the Scot has also been struggling with back problems. It has been an incredible effort from the British number one to just stay in matches without retirement.